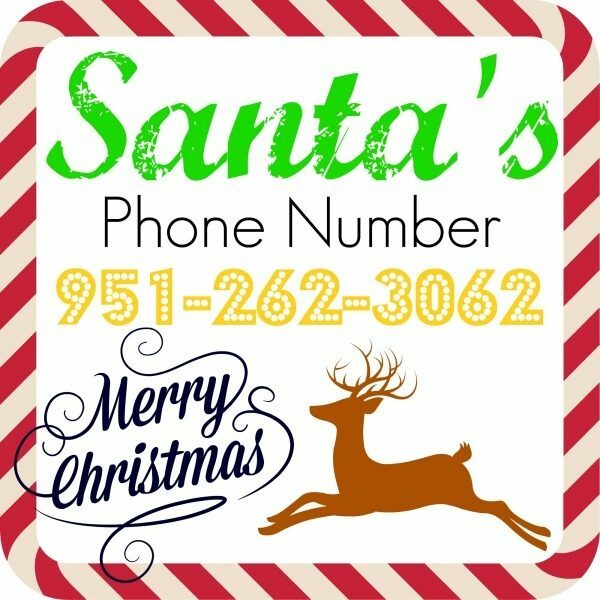 Santa's Phone Number - Call Santa for FREE! You are here: Home / Great Deals / Christmas Deals / Santa’s Phone Number – Call Santa for FREE! Santa’s Phone Number – Call Santa for FREE! Here’s a great FREEbie for all of you with kids – use Santa’s phone number to call Santa’s hotline! Your kids can listen to a message from Santa and then leave a message telling him what they want for Christmas! Santa’s phone number is 951-262-3062. We called, and my daughter was SO excited to hear Santa’s message – and I think she really took it to heart when he said he knows who’s been naughty and nice!